My fellow Tibetans, when we think about our future happiness and path, we need loyalty. It is the life-soul of a people. It is the spirit to find truth. It is the guide leading to happiness. My fellow Tibetans, if you want equality and happiness as the rest of the world, you must hold onto this word 'LOYALTY' towards your country. Loyalty is the wisdom to know truth from falsehood. You must work hard in all your endeavours, big or small. Freedom is the basis of happiness for all living beings. 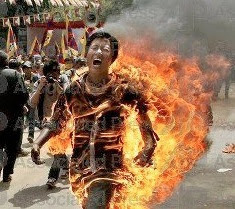 Without freedom, six million Tibetans are like a butter lamp in the wind, without direction. My fellow Tibetans from Three Provinces, it is clear to us all that if we unitedly put our strength together, there will be result. So, don't be disheartened. His wife brought a garland of jasmine. Mother even now calls me Tenzin Jasmine. My mother told me years later. He didn’t have to go. He listened to no one,' she said. Is my favourite person in the world. Where the famous Tibetan horses come from. 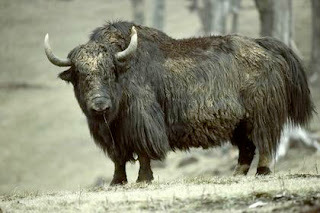 Grandpa told me about yaks. How their mastiffs barked at the menacing wolves. 'A yak can easily take on an elephant,' he said. Hooves as tough as cannonballs. A yak can eat a truckload of grass. ‘Its juice looks like donkey's piss,’ he would say. She stomped back into the kitchen, upset. ‘I want a plate of yaksha momo’ he said. ‘Yak is male. Dri is female. Dri gives milk. You give milk. I don’t give milk. Neither does a yak. 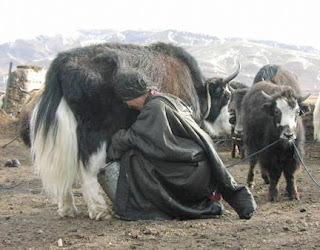 No yak milk. No yak cheese. I am old. You are young. A place where red hands shamelessly strike at their whim? 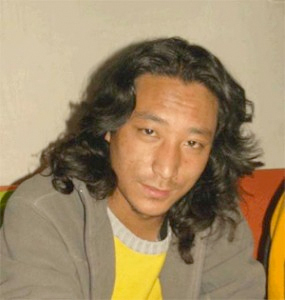 * Theurang, author of Written in Blood and editor of Shar Dungri or Eastern Snow Mountain (a magazine banned by China), was sentenced to four years in prison on 2 June 2011 by the Chinese authorities in Ngaba, Amdo, northeastern Tibet.